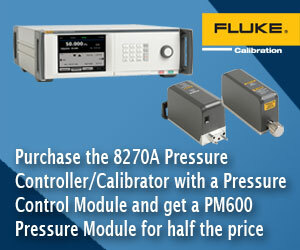 Purchase the 8270A Pressure Controller/Calibrator with a Pressure Control Module and get a PM600 Pressure Measurement Module for half the price. The 8270A is an automated pneumatic pressure controller that calibrates a wide workload of pressure sensors, covering twice the pressure ranges at twice the speed of other high-pressure controllers. 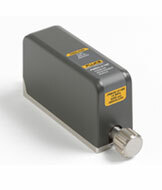 The 8270A measures and controls pressures from vacuum to 44 MPa. It can be configured with ranges as low as 100 kPa. 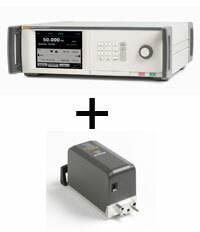 Fluke Calibration’s unique control technology enables you to use this calibrator at low or high pressures, all in the same instrument. Control precision is 0.002% of active range.